A former tax-farmer, Helvétius had given up his lucrative office five years previously, purchased the purely honorary one of maître d'hôtel de la Reine and devoted himself to writing and research. 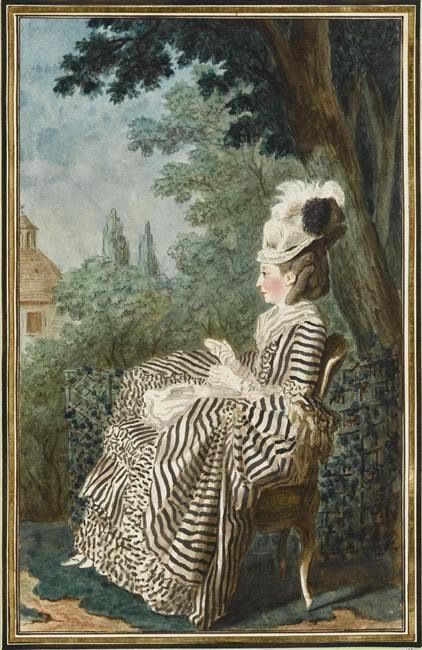 A year later he had married Mme de Ligniville-d'Autricourt, the niece of Madame de Graffigny, a witty and lavish hostess, who ably assisted her husband in making of the Helvétius mansion, rue Sainte-Anne, a centre for convivial and freethinking gatherings. In 1755 the unpleasantness and notoriety of the affaire De l'Esprit still lay in the future and there was little to mar this luxurious, refined and, by mid-century, slightly old-fashioned world of letters and conversation. In an age when men died young, Fontenelle, in his late nineties, was a living link to the age of Racine and Corneille and, ever obliging, happily to play his role as grand old man of the Enlightenment. Helvétius self-consciously modelled himself on the libertins of old and must have been delighted that Fontenelle, though now deaf and almost blind, still managed from time to time to be guest of honour at the rue Sainte-Anne. THE OCCASION: A carnival ball, opened by Fontenelle with Helvétius's little daughter on 7th February 1755. It is a little confused which of Helvétius's two daughters is being referred to. Despite Colle, it is usually assumed to be the elder, Elisabeth-Charlotte, who was born on 3rd August 1752, making her two-and-a-half at the time. 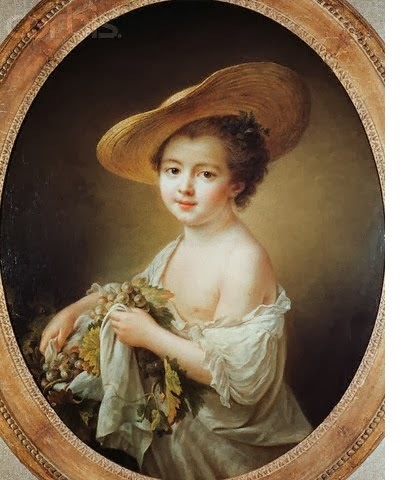 The second daughter Geneviève-Adelaide, born on 25 January 1754, had just turned one. Neither girl would have been old enough to remember the event. Elisabeth-Charlotte later married an aristocratic career soldier, Alexandre-Jean-François comte de Mun, but their union ended unhappily in divorce. She died relatively young in 1799, so slightly spoiling this tableau of the generations. The other little girl, Madame d'Epinay's daughter Angélique-Louise-Charlotte, later comtesse de Belsunce, lived on until 1824. Thus she at least could have boasted in the age of Chateaubriand and Byron of her kiss from a friend of Racine and Corneille. I first came across a mention of the ball long ago in R.J. White's Europe in the eighteenth century (1965), a nice gossipy book, though not much use for passing your A-level! It is also written up in the late Maurice Cranston's biography of Rousseau, vol.2: The noble savage (1991), p.2-3. Charles Colle's Journal historique: ou, Mémoires critiques et littéraires is on Google Books. Colle is not good on ages; he has Fontenelle's wrong too. 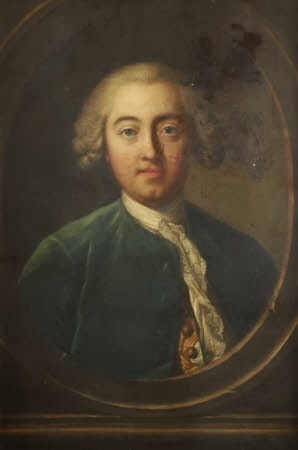 Fontenelle died on 9th January 1757, just a month short of his hundredth birthday (11th February), so in February 1755 he would in fact have turned 98 years old and entered his 99th year. How the title of the portrait by Drouais was attributed as being Miss Elisabeth Charlotte Helvétius ? which is proving this attribution ? if it's one of the girls of the ball why not Miss d'Epinay ? The painting is a portrait, nothing to do with the ball as such. I just picked it out to put in the post as an illustration because it is one of Helvetius's daughters. Madame H. in "John Adams"